3-in-1 detergent contains no artificial colors or fragrances. All-natural formula with built-in oxygen bleach and softeners brightens and softens fabrics as it cleans. 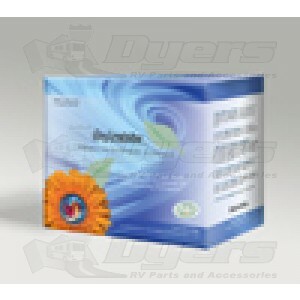 Premium HE Laundry Powder is 100% natural and RV/Marine gray water safe. Cleans and softens fabrics without the use of harsh chemicals. Won't overfoam in your high efficiency washer and delivers outstanding results even in cold or hard water. 5 lb. box = 100 to 200 loads in a Splendide washer.